For International students in Australia, opening a bank account there is very important since they need to handle and manage their money for paying college tuition fees and day to day living expenses. A local bank account can help students save money in the long run through their international student friendly accounts. It can also help in getting a part time job easily as employers would feel more secure giving a job to a bank-verified individual and salary can be deposited directly to your local account. So without any further ado, let’s take a look at how International students can open a bank account in Australia. There are many banks to choose from in Australia but there are only four major and main banks you need to concern yourself with. These are the banks which are spread throughout Australia and have the most number of ATMs. They also offer attractive accounts to international students. Bank’s network strength; availability of branches and number of ATMs across major towns and cities in Australia. If they provide student-friendly account ; No monthly maintenance fees, student debit/credit card, personal banker who can speak your language. Whether they allow you to open an online bank account before you arrive in Australia so that you have no problems handling money when you reach there. Whether Internet Banking and Mobile Banking facilities are provided by the bank making banking services easy to use. Transaction accounts are for day to day expenses. You can easily deposit and access your money, pay your bills and use your debit card for shopping or to withdraw money from ATMs. Many banks provide student-oriented accounts which are essentially the same as transaction accounts with the added advantage of usually being free of fees for day to day usage. There may be no monthly or annual account fees, free cash deposit and ATM usage. You may even be provided a banker who speaks your language. Savings account are good for depositing large sums of money and accruing interest from it. They have higher interest rates than transaction and student account for money deposited in them. It’d be useful if you are planning on sending your entire tuition fee plus maintenance cost to Australia at the very beginning itself as that huge amount can earn you interest while being safe in the bank. Also, once the money is in Australia as Australian dollars instead of Indian rupee, it’d be protected from INR – AUD fluctuations. As you can see from above, getting the required 100 points is pretty easy if you just have your passport and a driver’s license. Moving to Australia for your studies would be a hectic period, so it’s best to apply for a bank account earlier so that when you arrive, you can access your money right away. The process works fairly easy. When applying online you’d need to provide your passport details and few other document details along with it. When your application has been processed and approved, you will be notified and given the details of your new account so that you can transfer money. Once you arrive in Australia, you’d need to visit your bank and show them your passport to get complete access to your account. You can then get your debit card and apply for internet banking, mobile banking. If you prefer to wait till you are in Australia before opening a bank account, you should do so within six weeks of arrival. You’ll need to visit a bank and provide them with your details and show them your passport as proof of identity. They will then send you an account card in the mail to your address. 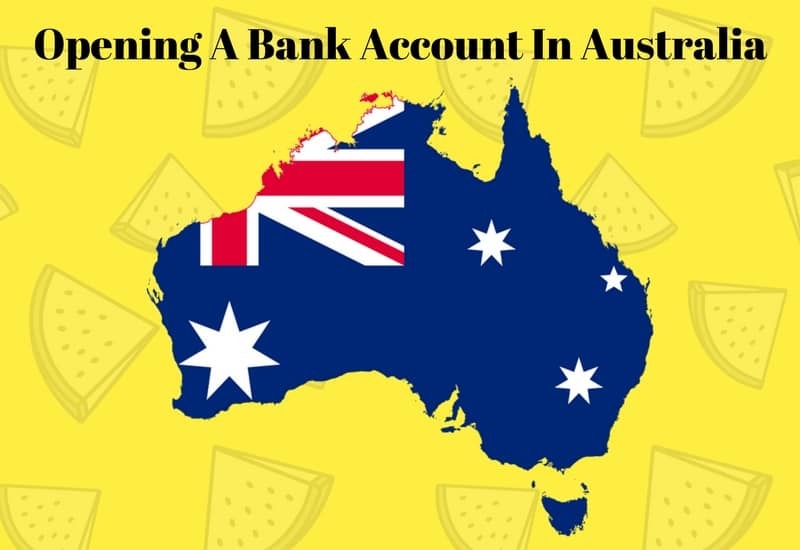 Just 4 simple steps to get your Australian bank account up and running in no time! If you have any doubts please feel free to leave a comment below and we’ll get back to you.